At Stitch by Stitch we're committed to promoting sustainable, artisan textile production which enhances cultural livelihoods. That's why we're proud to be working with an organisation in the heart of Kutch in northwest India, preserving the cultivation of indigenous kala cotton, or Old World cotton, and supporting local hand weavers. Why is kala cotton special? The crop is purely rain fed, so unlike large scale industrialised cotton production, it doesn't require vast amounts of water to grow. It's organic, since this hardy species has a naturally high tolerance to disease and pests. 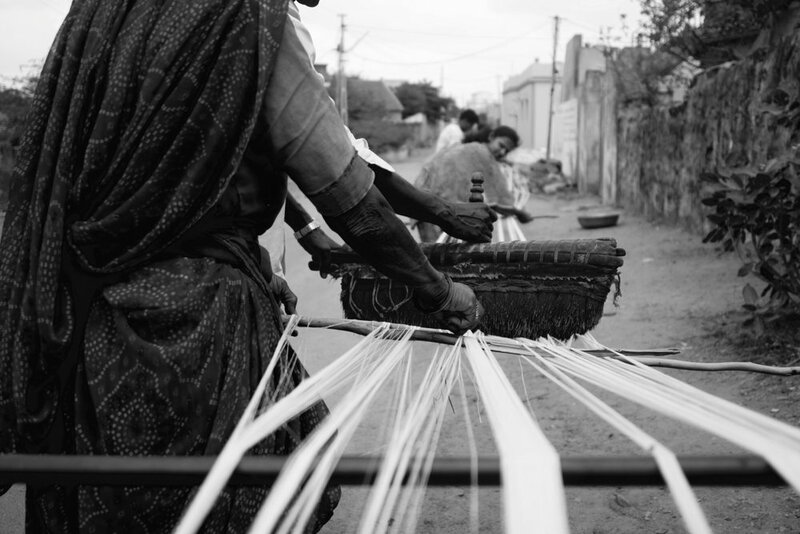 After years of experimentation and perfecting spinning and weaving techniques, the kala cotton initiative in Kutch has created a holistic and practical supply chain between the farmers, ginners, spinners and weavers of marginalised communities, to convert raw cotton into beautiful hand woven textiles. This sustainable production is in total harmony with the local ecology. Following a devastating earthquake in 2001, the Kutch region experienced rapid industrialisation, which brought some prosperity, but also had a negative impact on cultural livelihoods. Small-scale weavers couldn't buy raw materials in bulk, and found it hard to integrate with changing markets. 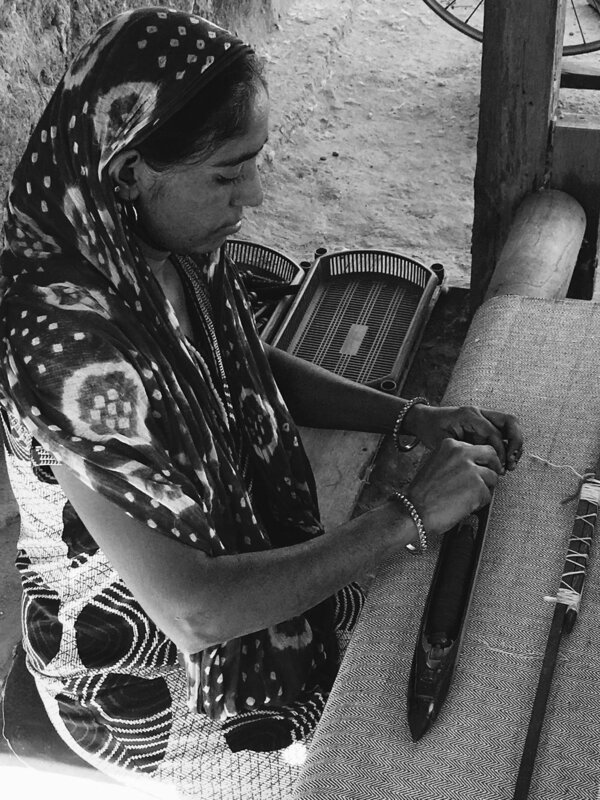 The number of weavers in Kutch declined from over 2000 in the mid-1990s, to around 600-700 today. One of our weavers says, "I am proud of my weaving tradition. It gives us an identity, and helps us to stand on our own feet." Another adds, "I worked as a security man for two years. It was a hard time. Weaving Kala cotton gets me a fair amount of money. I like working here with the community as leaving home and travelling the distance for work leaves me unsettled. Weaving is my life... there is a sense of belonging that comes with it."